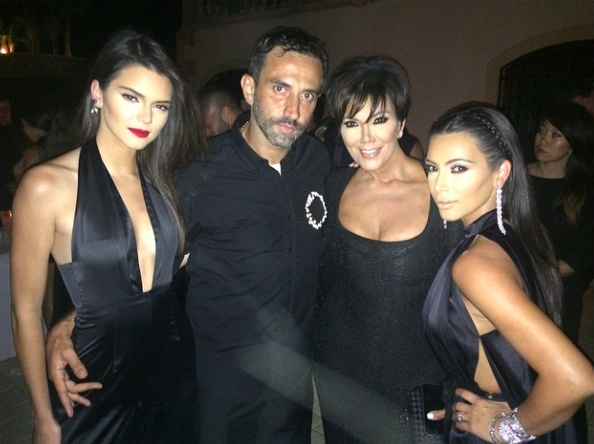 Givenchy's Riccardo Tisci threw quite the birthday party in Ibiza this weekend, inviting all-star guests and The Kardashians. Naturally none of us have to wait for any magazine to publish the official photos as we have Kim Kardashian photographing and sharing the whole event for the world to witness. 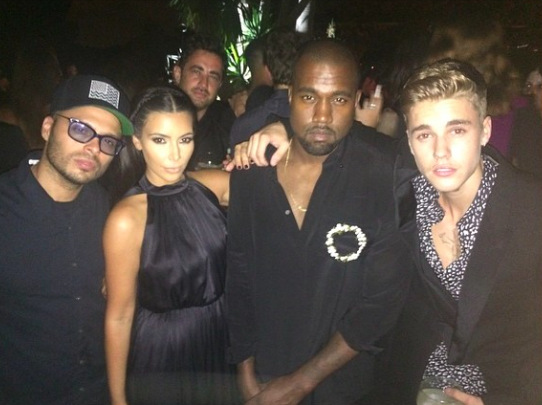 Kardashian instagrammed pictures of herself with Kanye, Kate Moss, Naomi Campbell, Justin Bieber (sadly no Orlando Bloom in the picture) and the birthday boy himself. 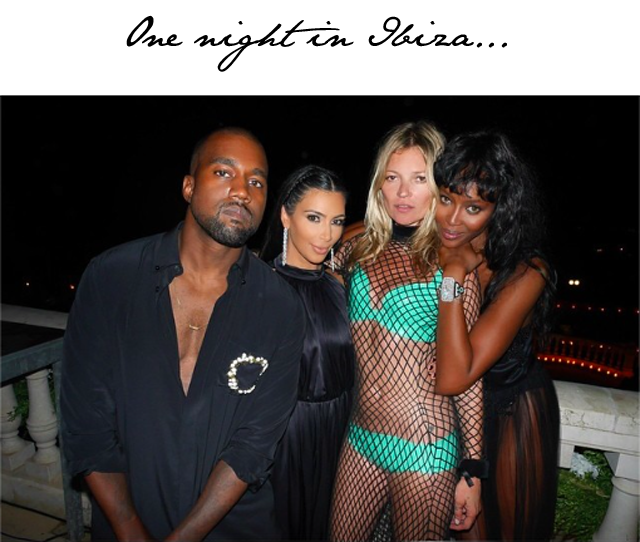 In her rather classy and oh so tasteful humor, Kim Kardashian captioned the supermodel capture with "You can't sit with us."